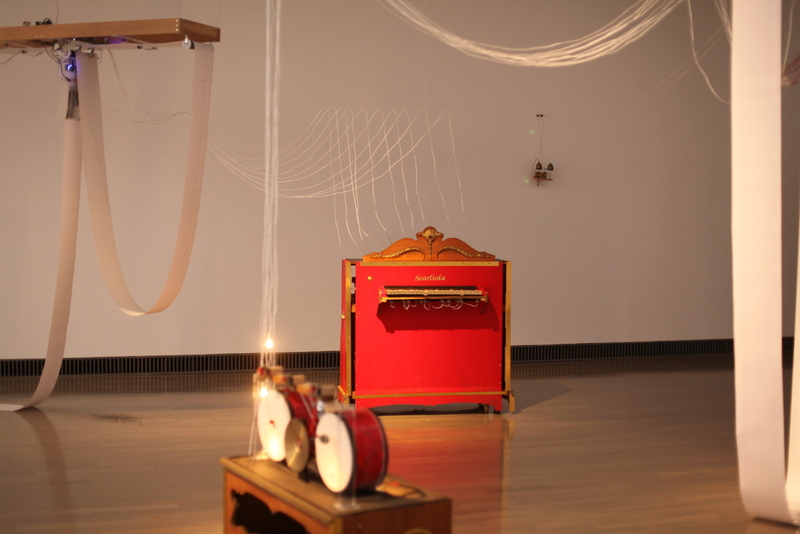 Suspended rolls of paper touch the ground as they move along it, picking up dirt and becoming stained as they go. 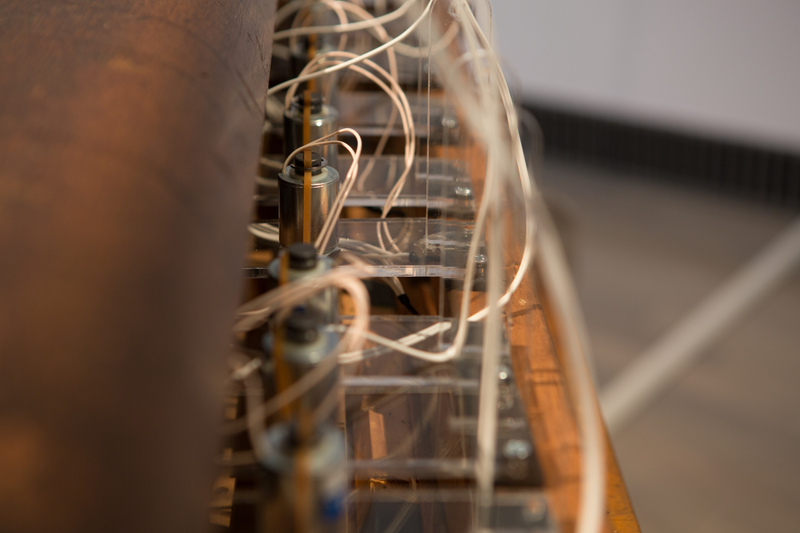 This dirt and dust is then read as a musical score and automatically played by various musical instruments. 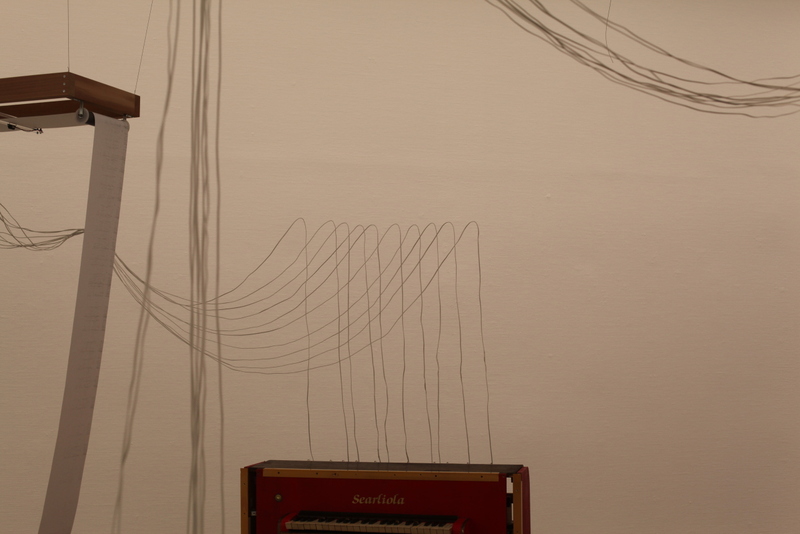 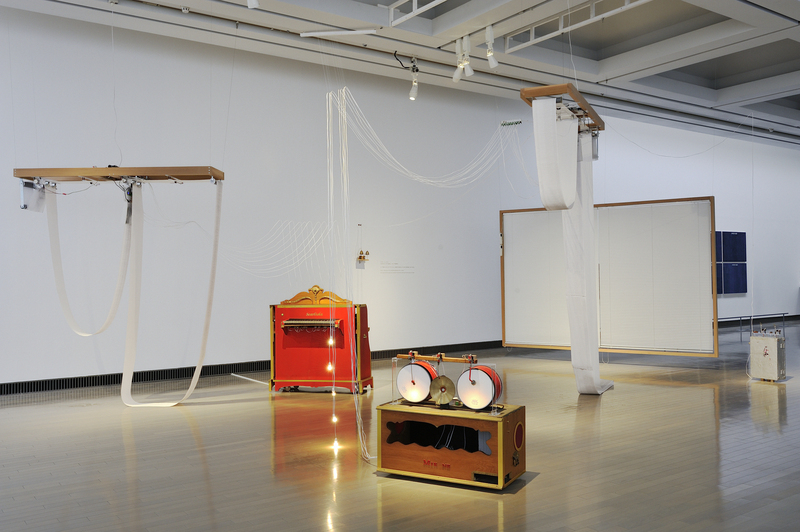 Using self-made musical instruments handed down to her by Victor Clark Searle, an American who immigrated to Japan in the 1950s, was active as an organist and educator, and passed away in 2012, Mohri reconfigured them and turned them into new artworks. 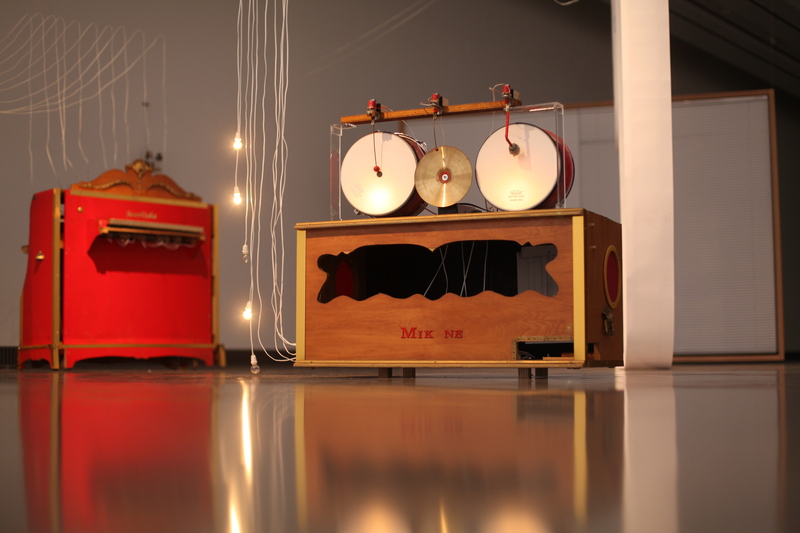 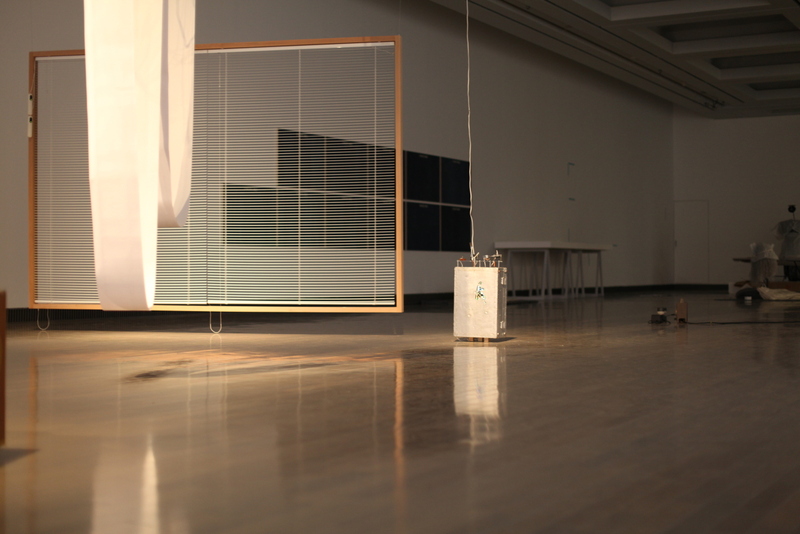 Materials: Paper, wood, Acrylic, dust, blind, fork, organ, drums, wind-bell, toolbox, etc.